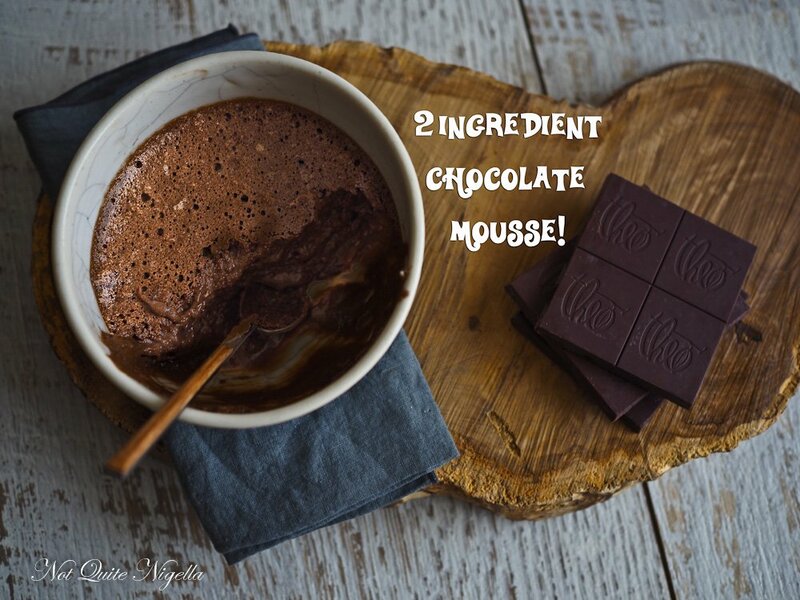 The Easiest 2 Ingredient Chocolate Mousse! 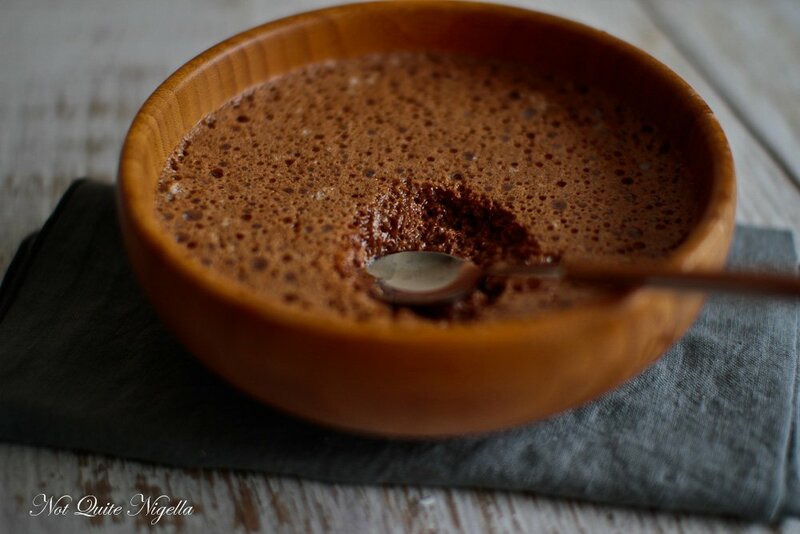 Chocolate mousse is an absolute classic French dessert. But did you know how simple it can be? Just two ingredients and five minutes of your precious time can produce one of the most delightful classic desserts you could dip a spoon into! 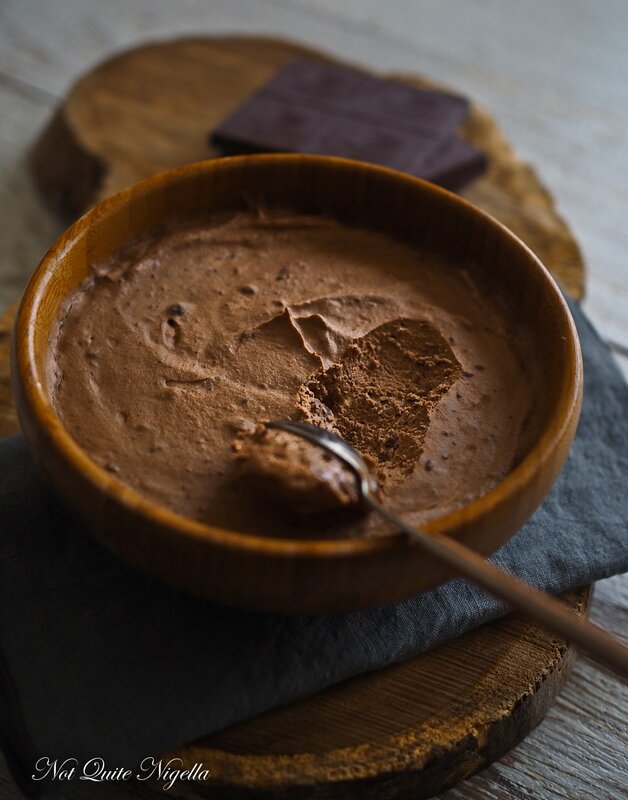 I became a tad obsessive over perfecting a two ingredient chocolate mousse when I saw Flo's recipe for a 2 ingredient chocolate mousse. I'm either all for simple recipes that you can put together while you're almost comatose and lying on the bed, or I'm into the crazy stuff that takes 10 days. I have no medium speed. I tried Flo's recipe and it was lovely but I don't think I beat my eggs stiff enough and while the top was unbelievably light and fluffy, there was a thicker bottom layer. It still tasted great but I wanted the fluffy layer throughout the whole mousse. Her recipe asks for soft peaks and I think you really need stiff peaks. Another batch was made and then I could hear my Dear Readers. That's right, you were speaking to me and saying, "But I don't want to eat raw eggs." Because that's the thing, traditionally chocolate mousse in its most basic form contains just chocolate and eggs and gets its wonderful aerated property from whipping the egg whites. But yes raw eggs can be an issue for some and so I decided to experiment a little. I replaced the eggs with whipped cream, often added in conjunction to eggs (but I was on a theme of two ingredients). It was also gorgeous but in a completely different way! The first one was deeper in chocolate flavour but this one was creamier and milkier but no less appealing. If asked to choose between the two I just couldn't. Sometimes I wonder if my life is a bit too simple compared to my friends' lives. We met up with our friend the Wizard for dinner the other night and we hadn't seen him in over a month as he was away over Christmas. We asked him what he had been up to and he looked at us both before taking a deep breath. "Well, 2016 is a new year for me. I've been working on a play-a black comedy musical about a man who sells his soul. It's a contemporary Faustian tale." So tell me Dear Reader, do you ever get obsessive over things? What speed do you operate at? Fast, slow or medium and do you fluctuate? Which version of this would you prefer? 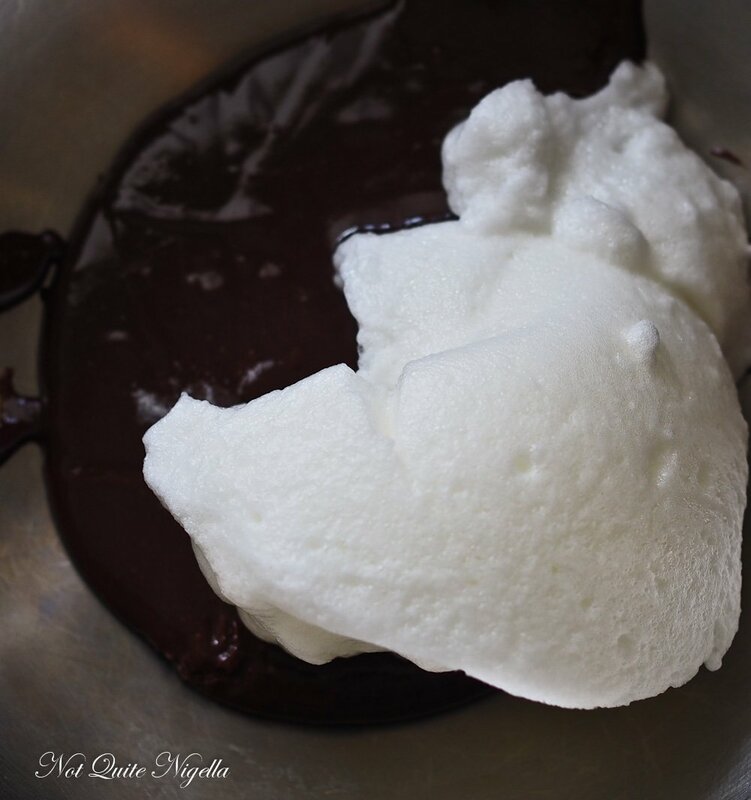 Step 1 - Melt chocolate in large bowl over a double boiler or in a microwave until smooth. Whisk in the egg yolks until combined and set aside to cool while you whisk the whites. Step 2 - In the bowl of an electric mixer whisk the egg whites until it reaches stiff peaks. 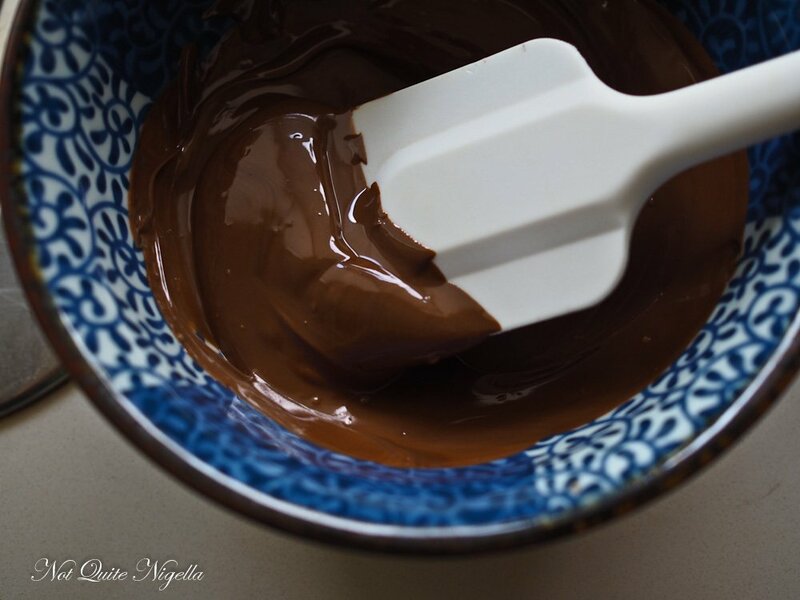 With a clean spoon or ladle, scoop out a third of the egg whites and using a large metal spoon, fold the whites into the chocolate mix. Add the next 1/3 of the whites and then the rest making sure that you don't add in any liquid egg white at the bottom. If there is any, return the bowl to the mixer and whisk again to get stiff peaks. Step 3 - Pour the mixture into cups of bowls. It will be a little liquidy but it will firm up. Refrigerate for at least 4 hours. 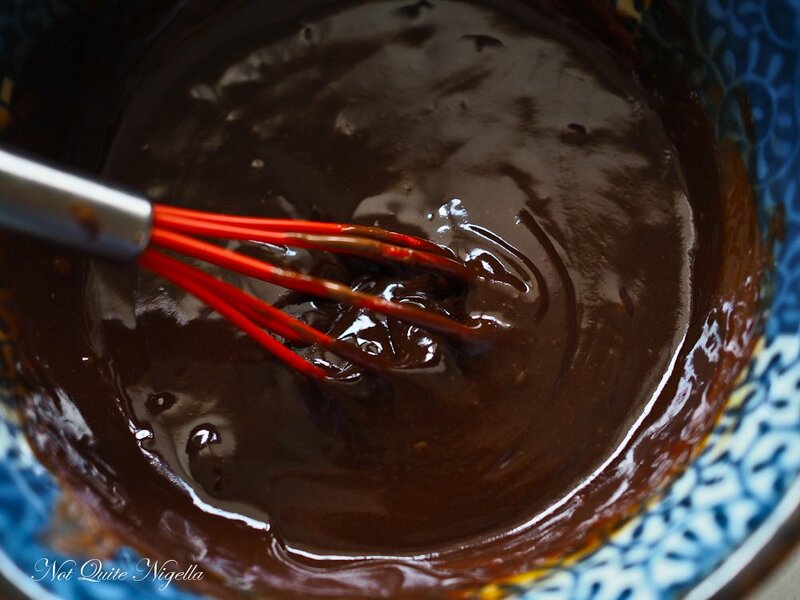 Step 1 - Melt chocolate in large bowl over a double boiler or in a microwave until smooth. Cool while you whip the cream. 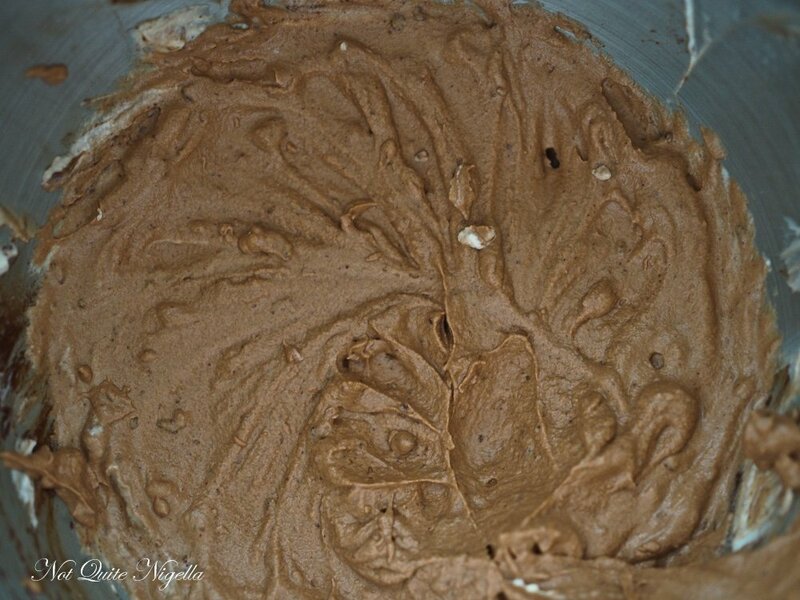 Step 2 - Start whisking the cream and when you get soft peaks add in the chocolate and continue whisking. Sometimes I get chocolate chips in this (which I regard as a bonus), sometimes it is smooth. 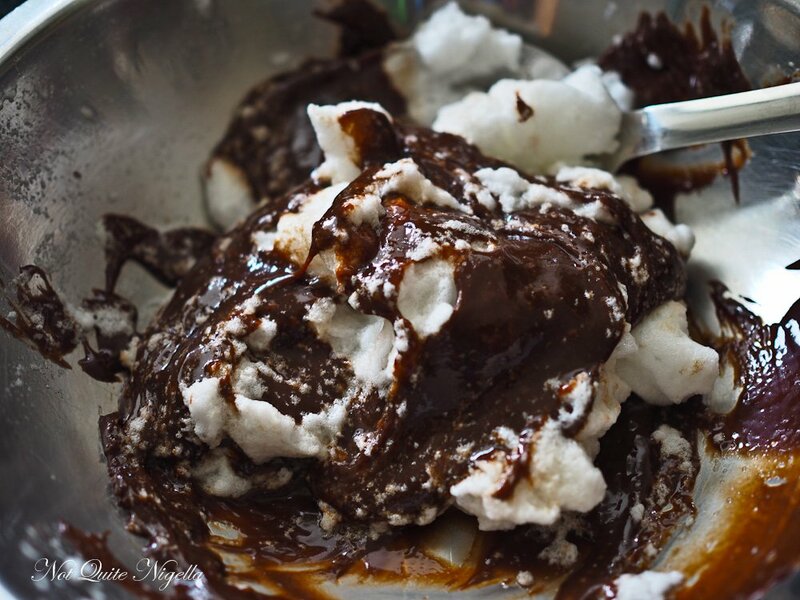 recipeHow To Create Stunning Shibori Chocolates! 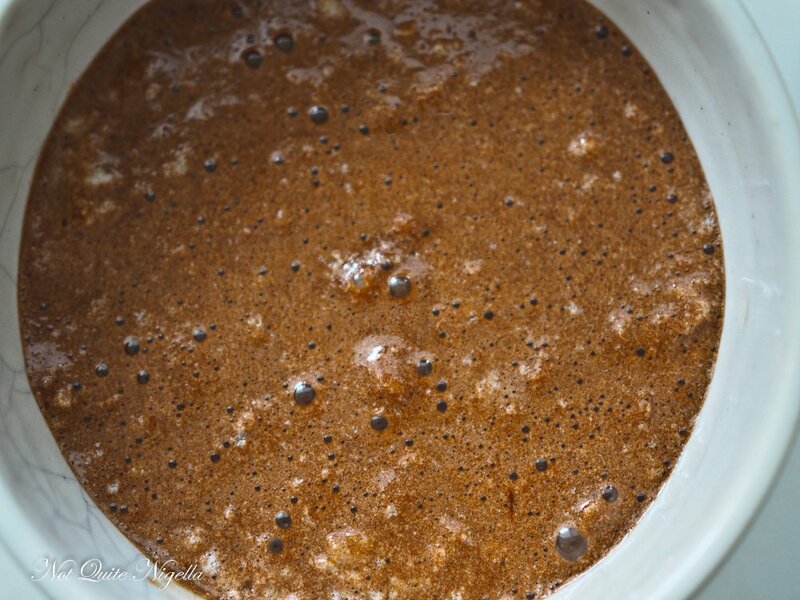 recipeGin, Whisky, Rum, Sherry and Coffee Boozy Chocolate Truffles! recipeEasiest 4 Ingredient Chocolate Mousse Cream Egg Filled Easter Eggs! recipeHow Scotch Egg Easter Eggs Will Make Your Easter Fun! recipe How To Create Stunning Shibori Chocolates! 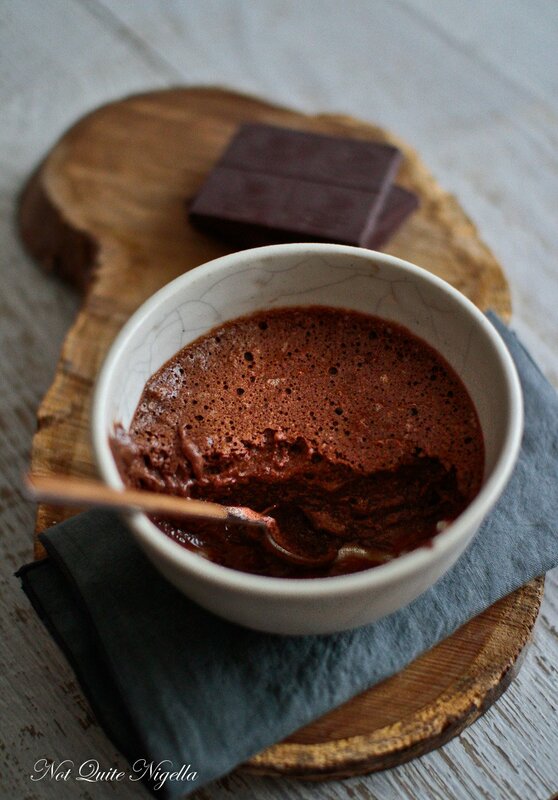 recipe Gin, Whisky, Rum, Sherry and Coffee Boozy Chocolate Truffles!